Typically seen as a side scroller, the Metroid series went down a new route in it's 2002 home console debut: Metroid Prime for the Gamecube. 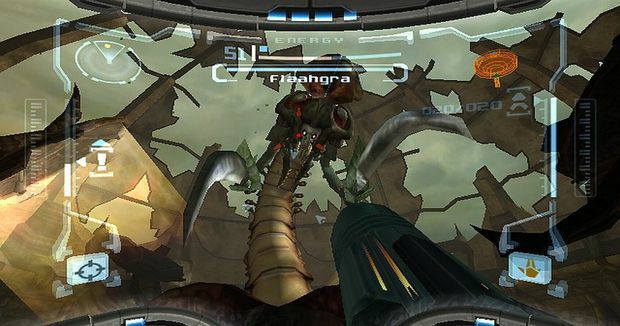 This installment transformed the Metroid gameplay into a first person adventure, whilst still retaining the focus on exploration and non-linear gameplay. It's success lead to a trilogy and a spinoff on the Nintendo DS, and the rest is history. Here, I will explore my worst to bests of the main trilogy and the spinoff Metroid Prime Hunters. Metroid Prime Hunters was released for the Nintendo DS a whole decade ago now. While it isn't part of the main trilogy and was not developed by Retro, the game still retains many staple trademarks of the series, including the first person perspective and the nature of it's 3D engine. The story features Samus investigating the mysterious Alimbic Cluster within the Tetra Galaxy, rumoured to house the 'ultimate power'. During her journey, she encounters a number of other bounty hunters who seek this power for themselves, and soon realises it's origins are far more dangerous than initially thought. When you begin, it's evident that Hunters can be cumbersome in terms of it's control scheme - you can either control Samus' arm cannon with the touch screen or with the ABXY buttons to move it in each direction. They both have their benefits and weaknesses; the touch screen allows for better accuracy, but can become extremely uncomfortable, while the latter, more ergonomic option makes it difficult to aim in fast paced firefights. However, once you've settled into it, Hunters becomes a surprisingly addictive adventure with superb visuals for it's time. It has the same atmosphere you loved from the main trilogy, and a number of challenging stage designs. It definitely needed improving in terms of variety, for there's a few issues with repetitive bosses and gameplay mechanics, but all in all it's a thoroughly impressive transition for the formula onto a handheld device. The second installment of the main trilogy was released for the Gamecube back in 2004, and added a much darker tone to the narrative compared to it's predecessor. Echoes features Samus exploring the rogue planet Aether to trace the origins of a Galactic Federation distress signal, but upon learning the dark truths of Aether and it's struggling natives, she is caught up in a mission to rescue the planet from it's corrupted state. It's most notable factor is the gameplay being split between two dimensions: the regular planet Aether and it's sinister doppelgänger, Dark Aether, with the latter's poisonous atmosphere slowly decreasing Samus' energy each time she steps out of the safe 'light zones'. Jumping between these worlds is done via portals scattered in different locations; this results in puzzles far more complex than those seen in the original. Echoes still retains the superb atmosphere and complex gameplay style the original was known for, combined with some brilliant new environments and an engaging, subtle narrative. One maddening downside is that during it's final act, Echoes becomes amazingly punishing. This is due to an excessive non-linear structure with minimal hints and enemies/bosses that suddenly become more powerful than ever before. It can make the game very intimidating to newcomers, but once you get used to it's brutality, Echoes is still one of the best games the Gamecube has to offer. 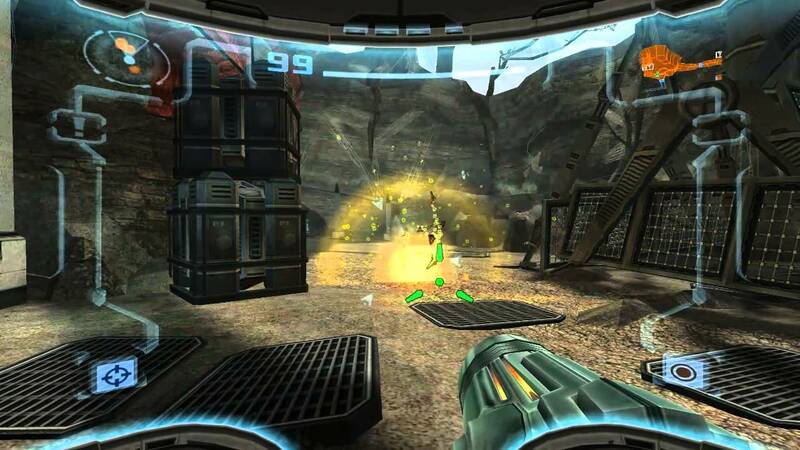 Metroid Prime 3 used the increased power of the Wii to great advantage, creating a Metroid game with a cinematic scope and a number of larger, graphically diverse environments. The conclusion of the trilogy narrative, Corruption features Samus working alongside the Galactic Federation to restore a number of corrupted organic supercomputers, known as Aurora Units, across various planets, which ultimately leads to a quest to rid the galaxy of Phazon once and for all. Corruption takes place across multiple planets, each with it's own unique design - Bryyo is filled with jungles and fiery caverns, where as Elysia is a gas giant home to a floating city known as SkyTown. You also visit the Space Pirate Homeworld, a mechanical fortress plagued by acid rain. The game employs voice acting and far more cutscenes than Prime and Echoes; Samus is no longer alone on her quest, but the solitary atmosphere in each level is still perfectly executed. Retro's approach to each planet's art design and structure is absolutely incredible, and this is perhaps the most diverse and beautiful of the trilogy on a visual scale. It also brings a number of new power ups and gameplay elements to the formula, making sure the core experience is not undone but also not lazily rehashed. One of the most notable additions is the Hypermode, which allows Samus to channel Phazon through her body and unleash it as a deadly attack. As this mode drains your health, and is sometimes wholly necessary, the game never fails to provide some intense challenges. Samus' ship is also far more integral to the gameplay, and you'll be using it often to fly to other worlds, perform air strikes, and carry large objects across each locale. A central flaw is that Save Stations are far too rare, and the navigation can get confusing, but all in all, this is a fantastic conclusion to the series - a bittersweet accolade, for I want more. Metroid Prime 4 please, Nintendo. The beginning of this epic trilogy features Samus infiltrating an abandoned Space Pirate frigate to investigate it's inner workings, before crash landing on the nearby planet Tallon VI, which has been poisoned by a devastating meteor impact. There begins the story of Phazon, a toxic, mutagenic substance that begins to spread far beyond the reaches of Tallon VI itself. 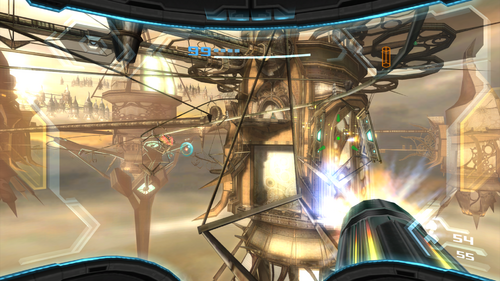 Metroid Prime's most impressive factors are it's complex gameplay and high production values. The first person perspective truly pulls gamers into the experience more so than many other games of the genre, and traversing it's diverse environments is deeply engrossing. Retro created a potent and large universe full of unique creatures, architecture, and in depth histories, all available to record data via Samus' Scan Visor, allowing gamers to piece together the narrative themselves as they journey across the planet. You'll also garner a number of unique power ups along the way, which open more paths for you to explore, even in environments you may have already visited. 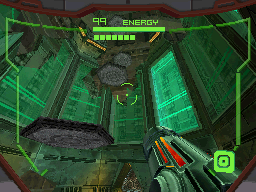 As is standard for Metroid, the gameplay combines puzzle solving and action in a perfect blend. It really makes you think when it comes to piecing together certain situations and making your way forward; and then, when you're done with that, you may be thrown into an epic firefight with tons of baddies, or one of the game's many thrilling boss battles. Everything is perfectly designed to provide one of the best experiences in a video game. It is simply one of the best games ever made. Period. 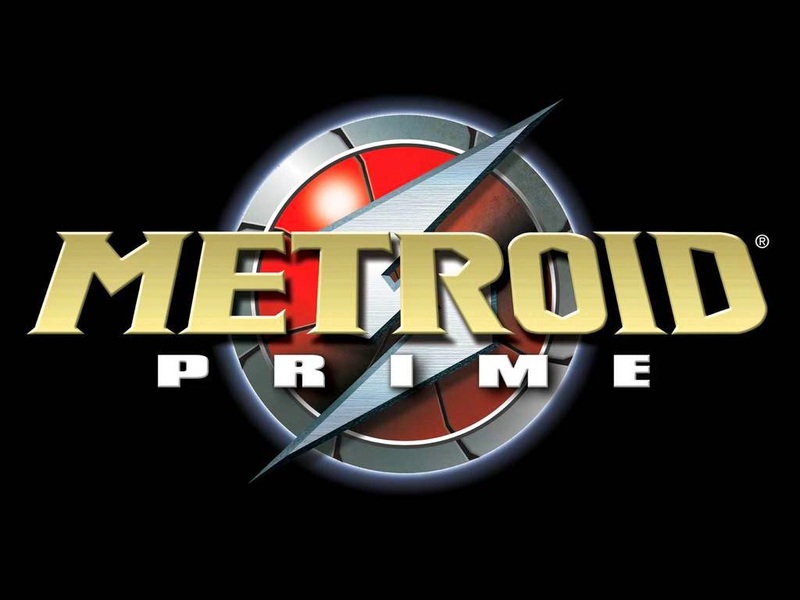 The main trilogy is best played on the Metroid Prime Trilogy compilation for Wii, which incorporates the perfect motion control system from Corruption into Prime and Echoes. The compilation was released in 2009 but has since been discontinued; however, it's now available on the Wii U eShop as a digital download for just £13 ($20)! Seriously, if you don't want to be declared insane, then you need to snap this offer up ASAP.